I always seem to be caught off guard by the first insects to emerge in spring, and this year was no exception. 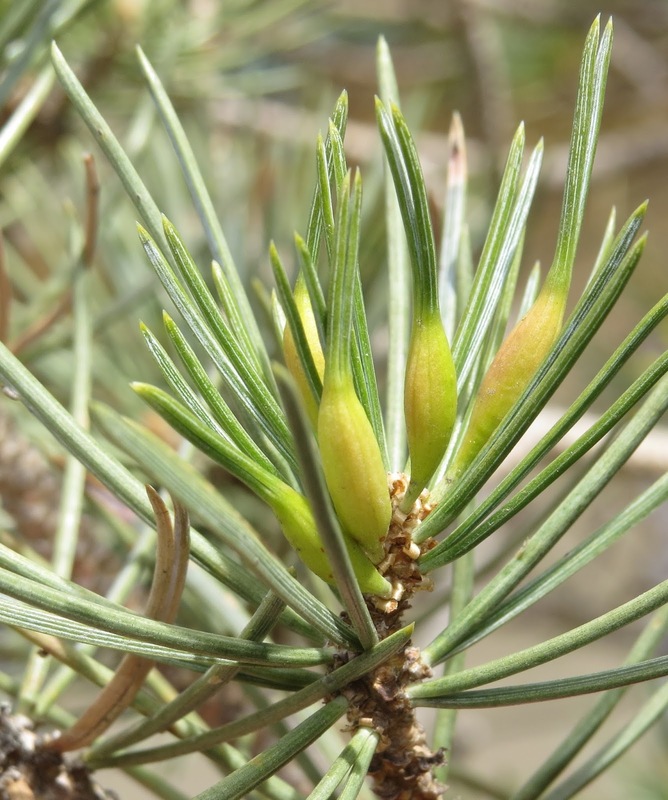 The chance finding of a male scale insect prompted me to investigate an ornamental Pinyon Pine in our Colorado Springs townhouse complex, and that revealed yet another insect, or at least signs of one. 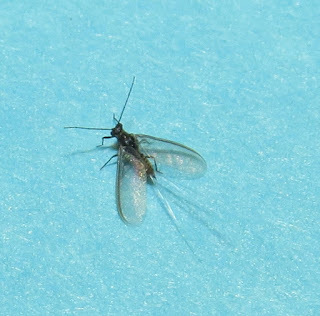 Walking in our neighborhood as I do most days, weather permitting, I happened upon what I figured must be a tiny midge or winged aphid, about one millimeter in length, on a wooden fence. Upon closer inspection it turned out to be a male scale insect of some sort. 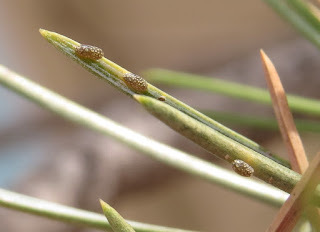 Scale insects generally give the impression of anything but an insect, a small, unmoving, button-like bump on a twig or branch. Mature male scale insects on the other hand often have wings and fly to find females. I was not aware they can appear so early in the season. Back home, I took images of the specimen and tried to match it with something online. 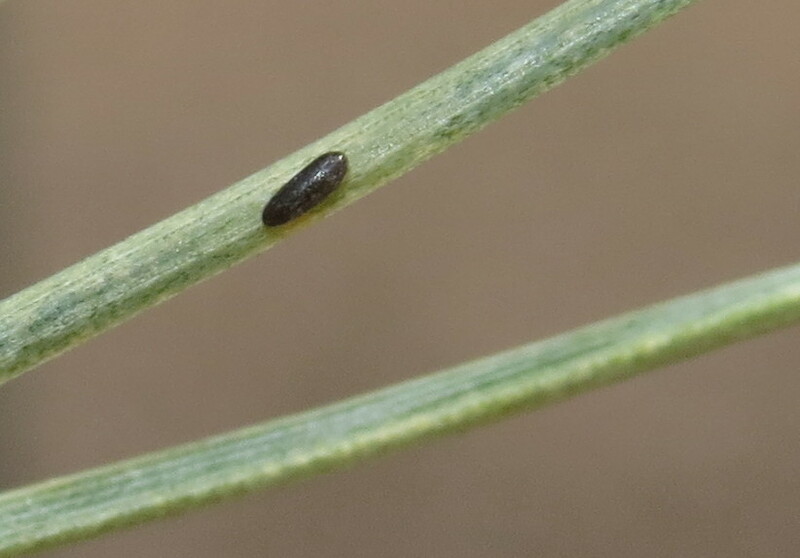 Male scale insects are so rarely noticed, let alone imaged, that I was not optimistic. Surprisingly, I found a close match in the genus Matsucoccus, family Matsucoccidae. This is a relatively new family, separated from its previous placement as part of the Margarodidae or "ground pearls." 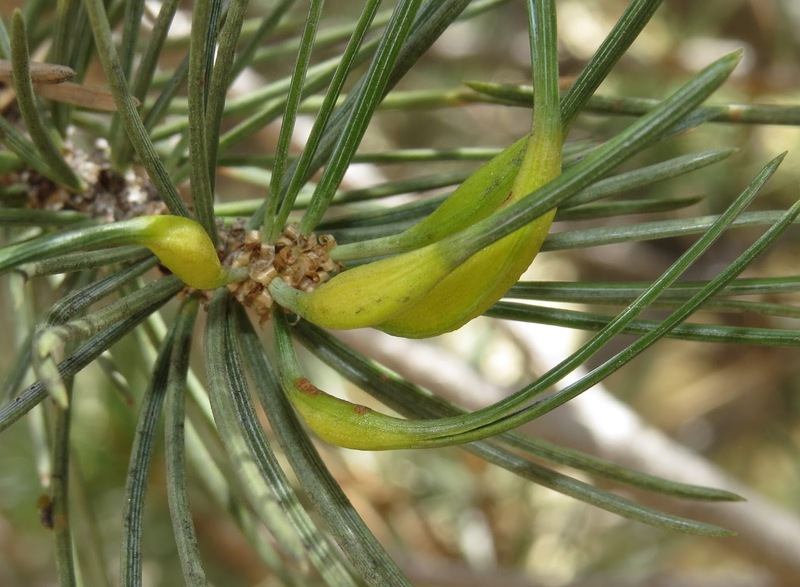 The tiny black and yellowish bug, with white waxy streamers emanating from its posterior, most resembled the Pinyon Needle Scale, Matsucoccus acalyptus, but I was hesitant to jump to conclusions. Our neighborhood is more in the high plains than a forest, though we do have many ornamental conifers. Sure enough, I noticed a Pinyon Pine between two buildings in our townhouse complex. Now that I knew what I was looking for, I checked for sessile female scales, and managed to find a few. They are barely over one millimeter themselves. It turns out that the life cycle of this species is rather complex, with a lot going on at this time of year. Mature females back out of the waxy covering that forms the "bean stage," and render themselves sexually receptive. As near as I can tell, the adult females have this mosaic pattern to them, whereas the "bean" stage does not. Once mated, the female crawls to an appropriate place to lay her oval cluster of yellowish eggs, encased in loose, white, silky webbing. Favored sites for egg laying include the root collar of the tree, in the crotches of large branches, the underside of large branches, or in deep fissures in the bark of the trunk. "Crawlers" emerge from the eggs roughly five weeks after they are laid. This tiny, orange, first instar immature stage migrates up the tree to begin feeding on needles that grew the previous year. The insects use their piercing-sucking mouthparts to tap fluids inside the foliage. As they feed they begin secreting the wax coating that covers them. That coat turns black shortly after it is produced. The nymphs also molt into their second instar. This is the "bean" stage in which the immobile females pass the winter. Second instar males crawl to the ground in October or November. There they go into a prepupal stage, wrapping themselves in white silken webbing beforehand. Three or four days later the males molt again into the pupa stage, spending the winter there. The female nymphs resume feeding the following spring, molt into adults, mate, and start the cycle anew. The Pinyon Needle Scale is a native insect, but heavy infestations can severely weaken trees, making them vulnerable to subsequent attack by Pinyon Pine Beetles, Ips confusus, in natural ecosystems. Landscape trees are even more at risk because they are not always planted at appropriate elevations, in proper soils, with proper sun exposure. They are often planted in isolation, too. While looking for the scales, I could not help but notice that many of the needles on the tree on our property were greatly swollen and yellowing. This is the work of an entirely different insect, the Pinyon Spindle Gall Midge, Pinyonia edulicola. It is a tiny fly in the gall midge family Cecidomyiidae. 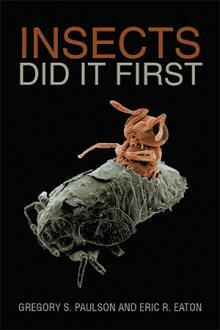 Its life cycle begins when a female lays several eggs in a developing needle in mid-summer. The larvae that hatch crawl to the base of the needle and their feeding activity stimulates the plant to grow needle tissue around them. From five to forty larvae occupy the resulting gall, continuing to feed and grow within it. They pupate in late spring of the following year. The adult flies emerge in mid-June to mid-July. Our Pinyon Pine tree seems to be doing ok despite the onslaught, and we tend to underestimate the resilience of plants in the face of insect attack. Our current drought is no doubt undermining the tree's natural defenses, but the insects feeding on it are also not immune to their own predators, parasites, and other enemies. It may be a good idea to keep tabs on the trees in your own yard, but resist the temptation to intervene at the first sight of some insect. Do your homework, ask for expert assistance, and then decide what, if anything, to do. Sources: Cranshaw, Whitney. 2004. 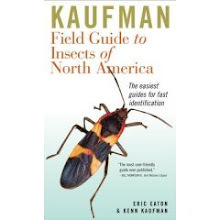 Garden Insects of North America. Princeton, New Jersey: Princeton University Press. 656 pp. Furniss, R.L. and V.M. Carolin. 1977. Western Forest Insects. Washington, DC: U.S. Department of Agriculture Miscellaneous Publication No. 1339. 654 pp. It has just been revealed to the media that Walmart filed an application on March 8 for a patent on miniature drones designed to pollinate crops grown by the retail giant for sale in its grocery stores. 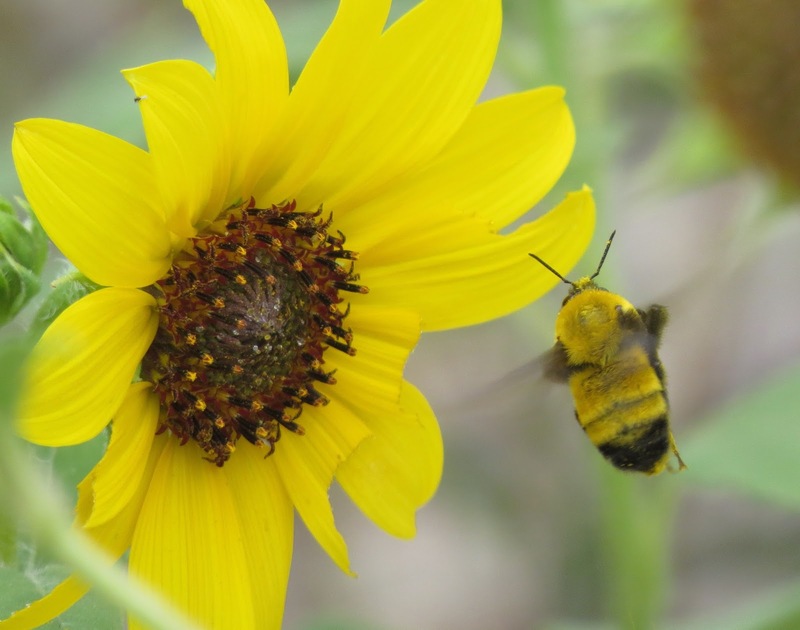 The company cited evidence of declines in bee populations and the need to supplement the pollination services provided by insects. 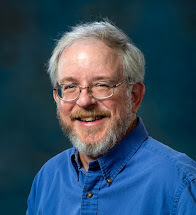 It is the opinion of this writer and entomologist that this high tech response to a very serious organic and complex ecosystem problem is inappropriate, and troubling in many ways. The idea of using tiny drones to accomplish the pollination of flowers, at least in agricultural systems, is nothing new. 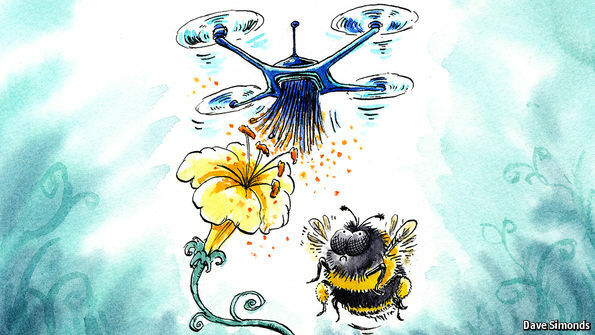 The Japanese built drones specifically for the cross-pollination of lilies. The videos of the machines in action only served to expose how clumsy and blundering they are compared to the direct and delicate maneuvers of bees. It seemed miraculous that the flower parts were not seriously damaged by the bulky and bouncy, propeller-driven craft. Why are we so eager to replace complex living organisms with feeble facsimiles manufactured in robotics labs? Have we decided that it is acceptable to consider this as a viable “solution” to a much larger problem? I do not recall casting a vote for this myself. How long will we tolerate businesses and corporations to dictate the level of biodiversity we can do without? This is why science is getting an increasingly bad rap. Scientists are fast becoming beholden to investors, shareholders, and other private interests, and less accountable to the public. Independent, transparent, and government-sponsored research may soon be a thing of the past, if it is not so already. 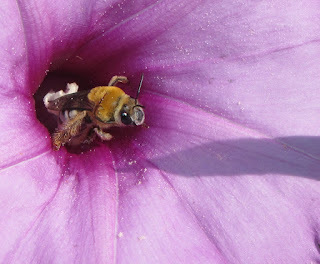 The implied definition of “bee” in this particular instance is the Western Honey Bee, Apis mellifera. If that is not the case, then Walmart needs to speak up; but in the course of clarification, Walmart may expose a willingness to consider all solitary and native bee species as expendable, as long as we are able to pollinate the crops that feed us. Wildflowers and trees and shrubs are a non-issue in this scenario. They are not viewed as anything necessary to human civilization or financial prosperity. Emphasis on prosperity, as the business world tends to equate civilization with exponential fiscal growth. Might it be cheaper to employ drones instead of honey bees? Maybe. Apiculture is itself an industry, with attendant expenses that are passed on to the customer. Many large-scale beekeeping enterprises involve the transcontinental movement of hives to fields and orchards where they are needed to effect pollination of almonds and other crops. This is not a cheap endeavor, and for all I know, some accountant has crunched the numbers for Walmart and declared that bees are inferior to drones from a simple cost-benefit analysis. Replacing bees with machines cheapens our humanity in many other ways, though. There is no substitute for interactions with other living organisms, though we seem hell-bent on trying to make it so. We erect all manner of filters between ourselves and other humans, even. I am beginning to feel the need to apologize that you are reading this message from a static screen instead of hearing it from my lips, in person, with all the nuances of annunciation and emphasis, all the facial expressions that amplify my concern. Sam Walton’s heirs may literally prosper with every effort to simplify their business, and the lives of their customers, but I prosper most in the chaos that is wild nature. My psyche requires that if I am to be civil to my fellow man. A vast field of corn, uninterrupted by hedgerows, windbreaks of trees, or other hints of what used to be there, is a vast wasteland to my mind and soul. Indeed, farming practices that enhance biodiversity can be cost-saving, too. The more wild, unmanaged pollinators, the more predatory and parasitic insects, the more birds, the more wildflowers (you may call them “weeds”), the less need for fertilizers, herbicides, pesticides, and other chemical dependencies. The better state of mind of the farmer, too, the more adventures their children can have exploring the acres. I could drone on, but you get the point. We can continue to impoverish our lives by distancing ourselves from nature, or we can choose to embrace it, despite its unpredictability. The future is in the latter approach. The former has no future.